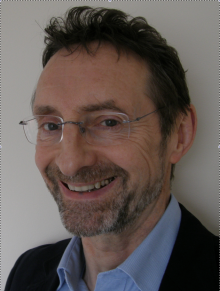 Colin Harrison is Emeritus Professor of Literacy Studies in Education at the University of Nottingham. He was a secondary school English teacher for seven years, and served on the national council of NATE, the English teachers organisation, for ten years. He left full-time school teaching to work on the Effective Use of Reading project, during which time he chaired the Evaluators Group at the Schools Council, the agency that funded that project. Between 1989 and 2007 he directed fourteen national or international research projects on assessment in reading, most of which were government funded. He has been involved in a number of transatlantic studies of computer use, and pan-European studies of technology in schools. He was a founder editor of the Journal of Research in Reading, was President of the UK Reading Association 1990-1, chaired the Technology and Literacy Committee of the International Reading Association from 2001-4, and has directed six national evaluations of technology and teacher development for the UK government. But his work has not only been at policy level: between 1980 and 2010 there were only five years in which he did not teach at least once a week in a local school, wherever possible bringing together technology and literacy development. From 2007-2016 he worked with elementary schools in Nottingham, researching and teaching innovation education and Internet skills.